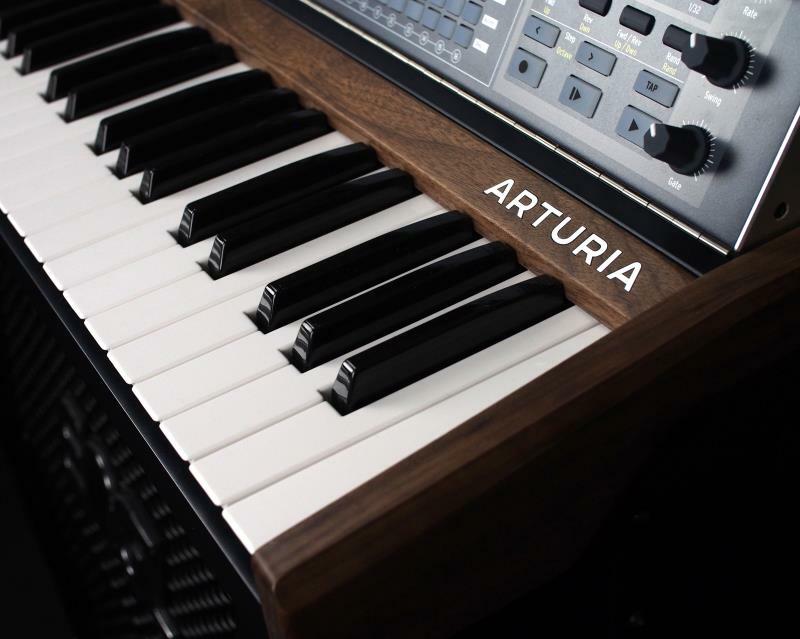 The new Arturia MatrixBrute looks to set the Synthesizer market alight with arguably the most powerful analog mono synth ever created! 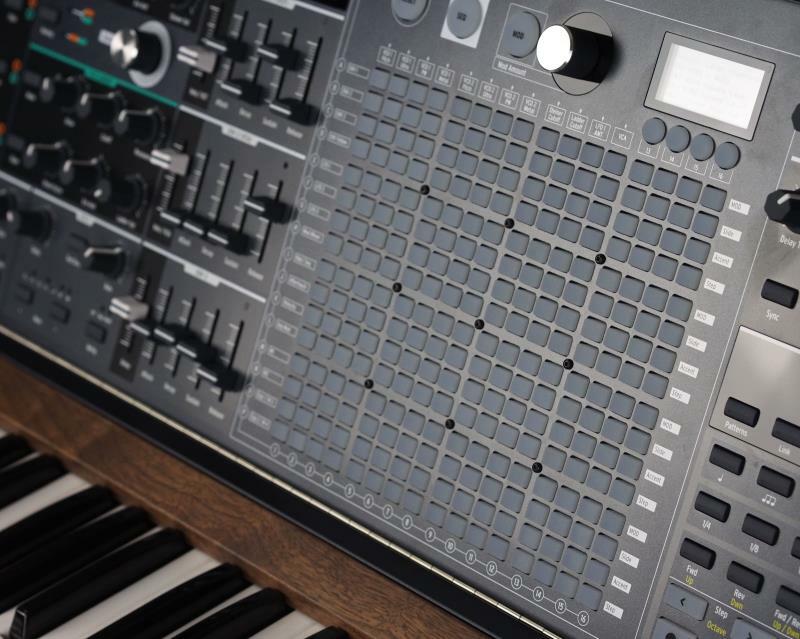 The MatrixBrute is versatile like a modular system, but offers presets and powerful tools that enable you to be as creative as your imagination allows. 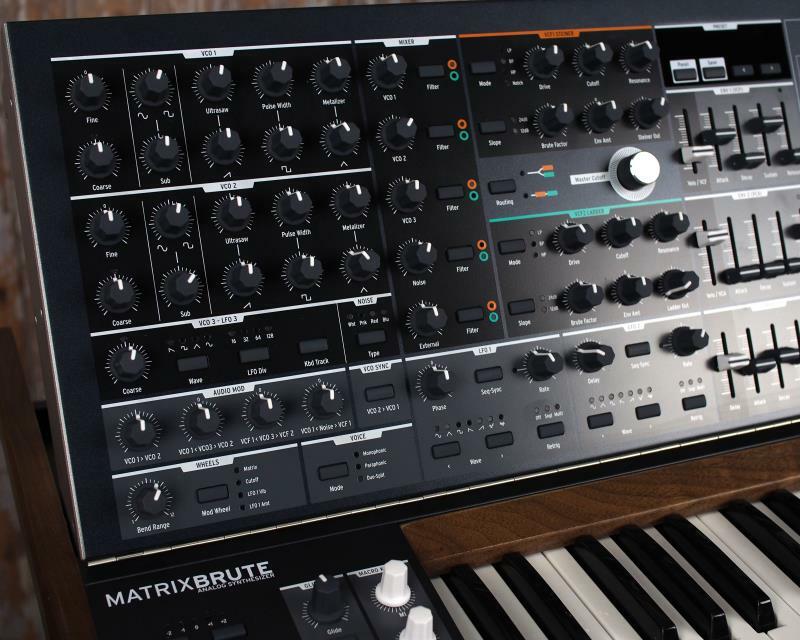 Offering three Brute oscillators, a Steiner-Parker filter and a ladder filter, five analog effects, and the incredible modulation matrix. This thing is a true powerhouse. We think the built in matrix editor is a nice touch, enabling you to step sequence and recall presets in an instant. 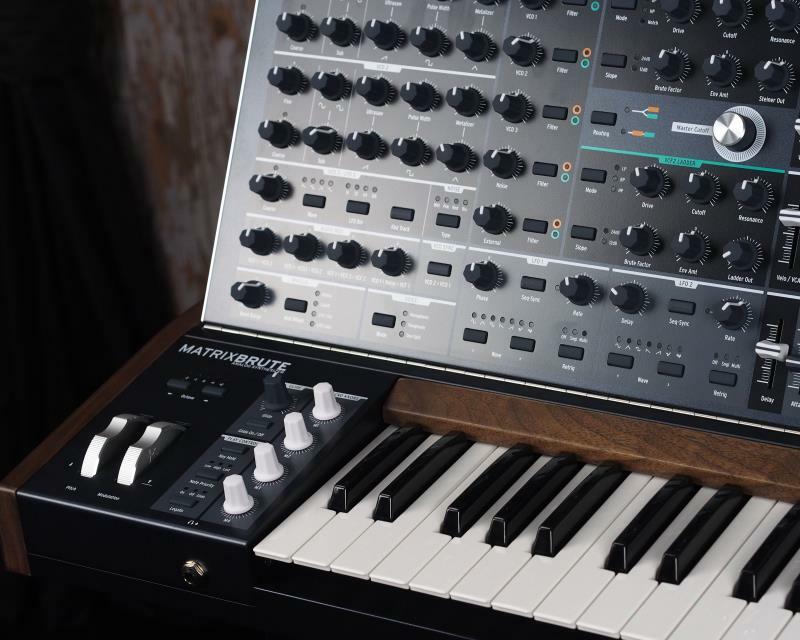 The heart of the MatrixBrute is its unique modulation matrix that allows you to create your own routings. You can invent a sound palette of your own that will be sure to be heard in any mix!The matrix can also be used to recall your presets. 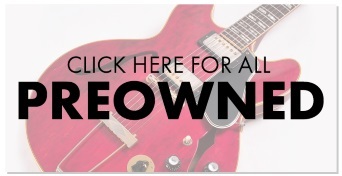 So go on stage, and select any of the 256 presets instantly! No menus or awkward selection screens, everything is at your fingertips. As if that wasn't enough, the matrix is also made to program and play sequences. 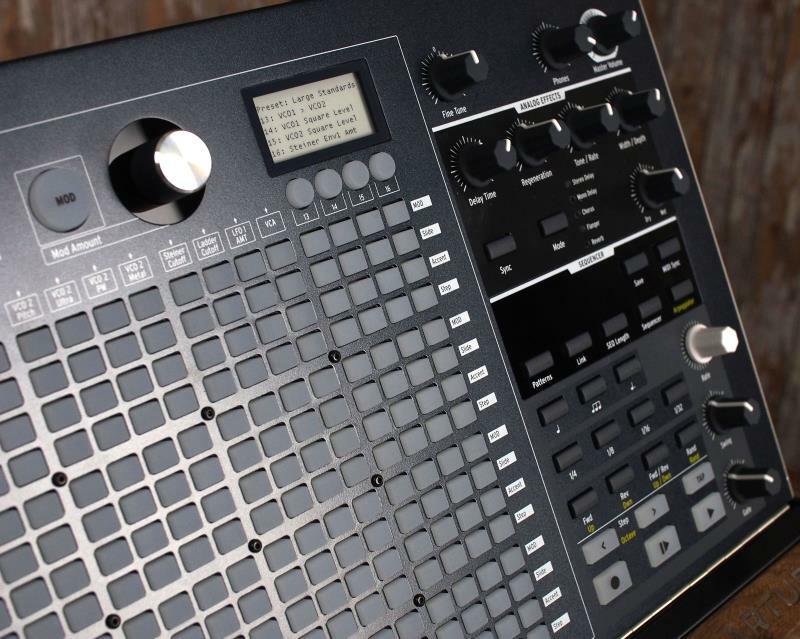 This is no ordinary step-sequencer. 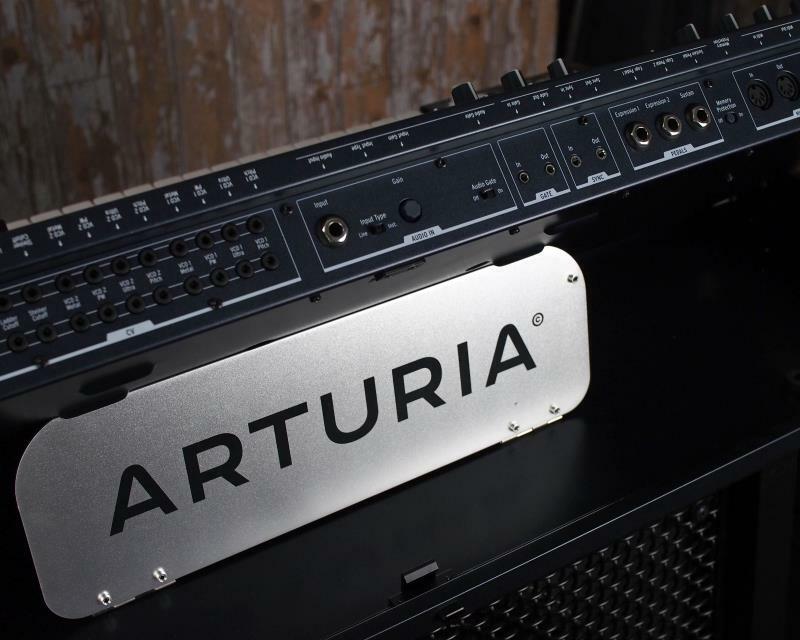 With its ability to also be used as a modulation source, sounds evolve in melody and texture, just the way you want. Forget about tiny LCD screens, being lost in menus and sub-menus, and trying to remember double functions and complex procedures. 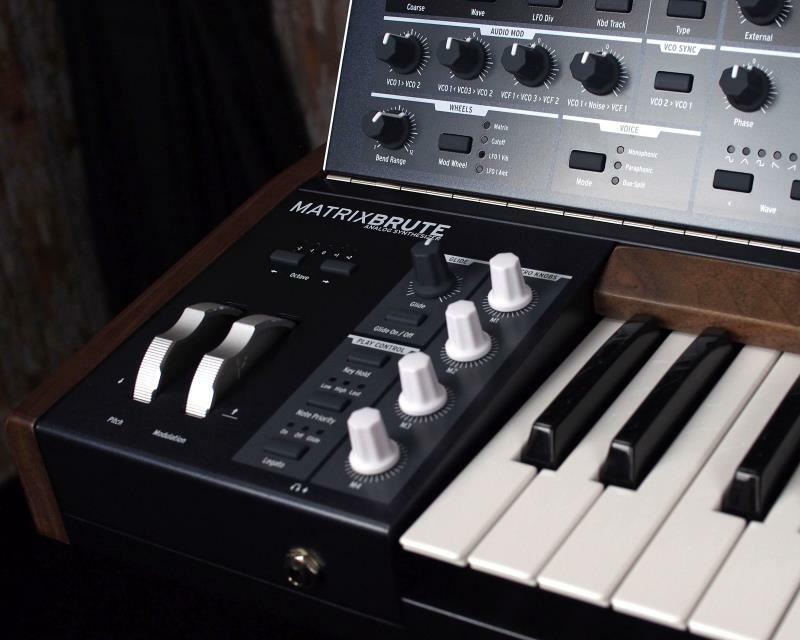 MatrixBrute brings back the fun and the immediate hands-on experience of synthesis. 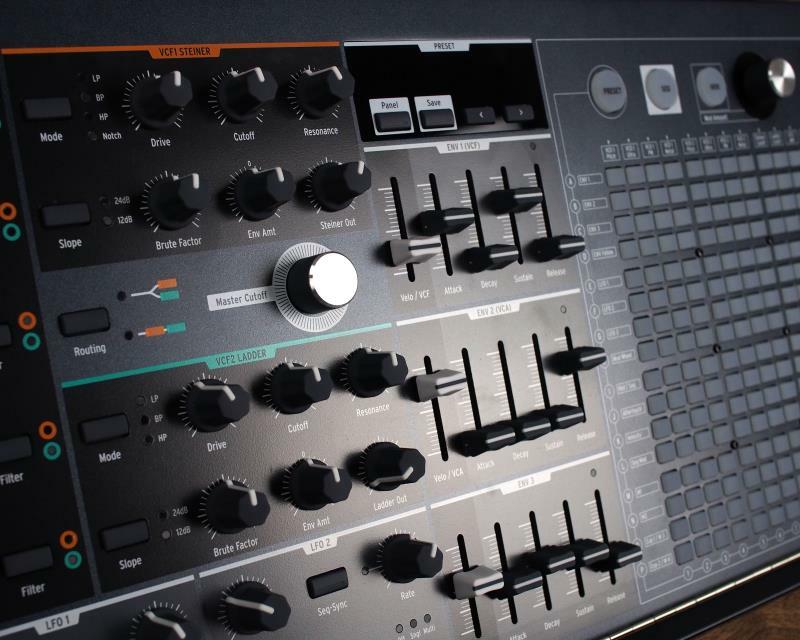 When you want things to shake, grab the Sub Osc slider and bring it on. When you want it to sizzle, grab the filter knob and open it up. And when it's time to unleash the beast, grab the Brute Factor knob and turn it loose. It's that easy! 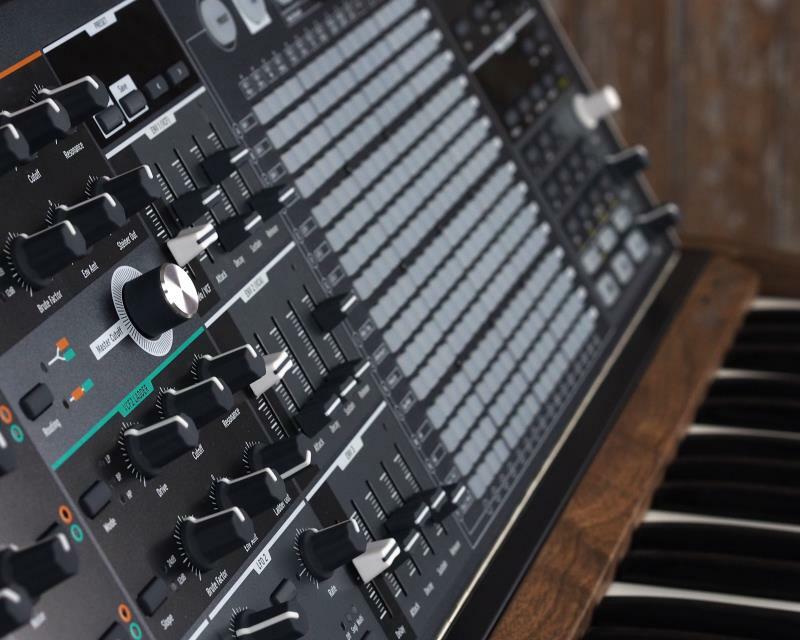 Sawtooth, Pulse, Triangle, waves with the unique waveshapers that have become the trademark of the 'Brute' sound. 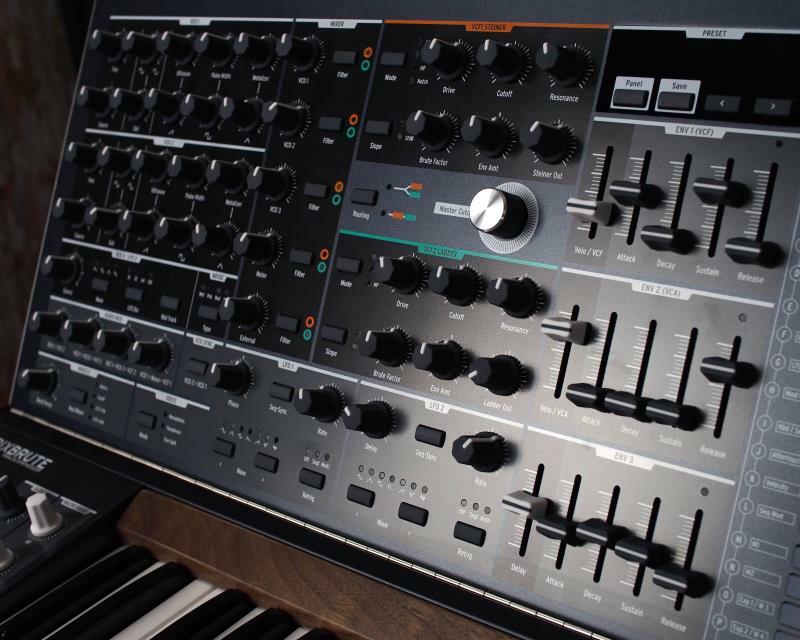 There is also a sub-oscillator on each of the two Brute oscillators. 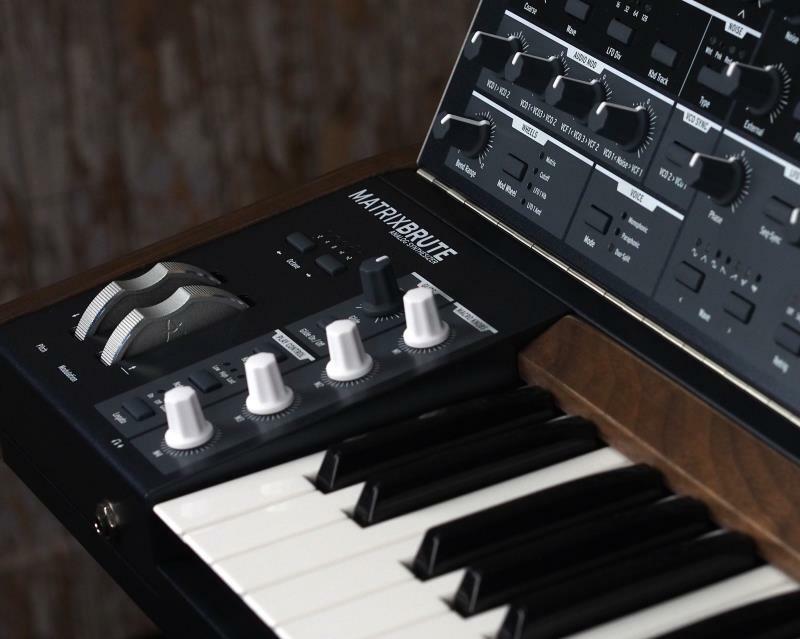 The third Osciallator can be used for both audio signals and LFO modulation at the same time. 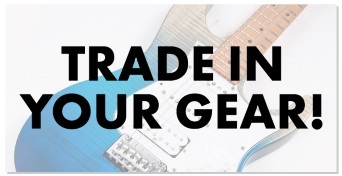 You do not have to choose either operation here so you can always have that big 3 oscillator sound. Noise generator with White, Pink, Red and Blue noise types. The most versatile on the market. The AUDIO MOD section allows for complex oscillator and filter FM possibilities bringing whole new tonalities to your sound. Pitch bend and mod wheels and 4 Macro encoders which can be assigned to any of the modulation destinations for instant hands on performance playing. Multiple keyboard modes for mono, paraphonic and duo-split modes. Split oscialltors for paraphonic mode or use the duo split mode to play a sequence while playing notes over the top of it. 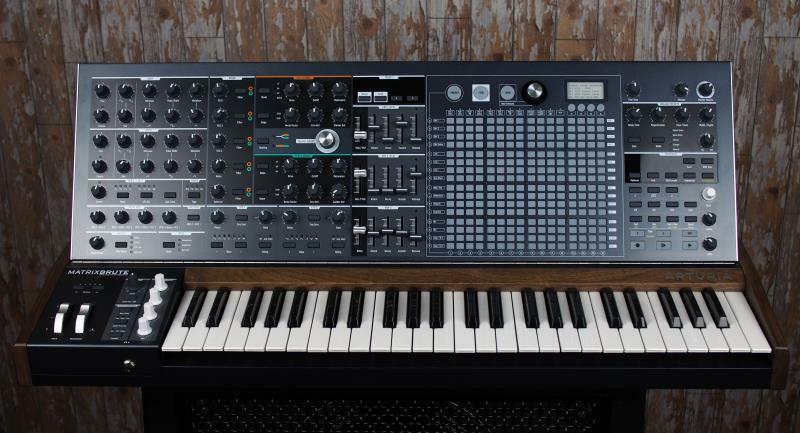 Two standalone LFO’s with 7 waveforms and trigger modes allow for complex modulations. The combination VCO/LFO adds a 3rd LFO in the system. Mix and blend Oscillators 1, 2, 3, as well as the noise generator and EXTERNAL input sources. Route each mixer input to the filter of your choice using the FILTER assign buttons. We have upgraded our Steiner Parker filter to support both 12db per octave and 24db per octave slopes as well as a DRIVE control for making thicker sounds. 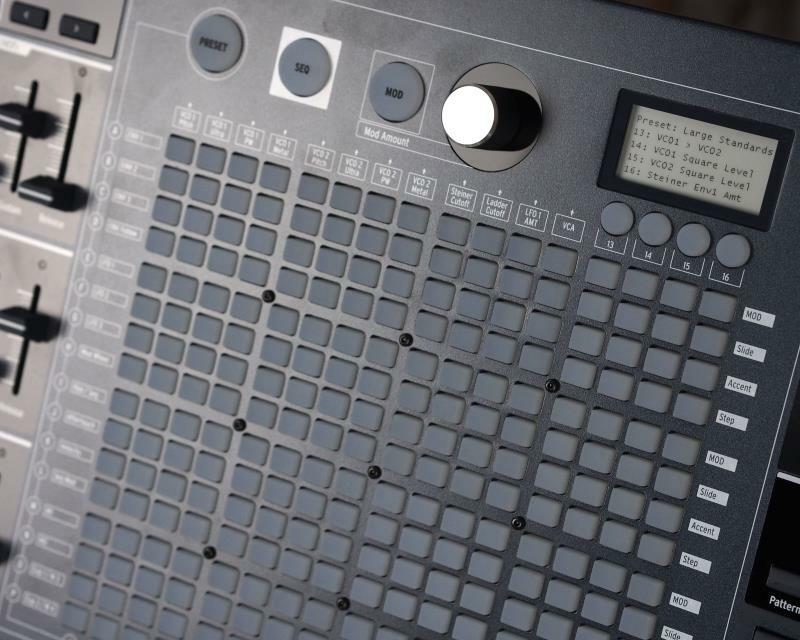 The 4 modes, Low pass, band pass, high pass, and notch allow for a vast array of sound making possibilites. We have included a traditional beefy Ladder filter with both 12db and 24db per octave slopes as well as Low Pass, High Pass & Band Pass modes and a Drive control. This filter design is known for making punchy bass and thick lead sounds.